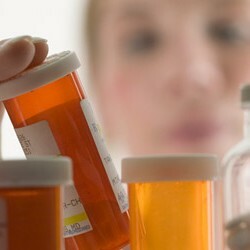 Home > Blog > How Long Are Expired Drugs Good For? It was only when I moved back home between jobs that my mother frantically went through my collection of pills, some in my possession longer than President Obama's been in office, and assured me she would dispose of them safely, keeping me out of harm's way-- and hopefully keeping the sewer and dumps toxin-free in the process. This struck me as both wasteful and expensive--hadn't I been doing fine all these years on medications from the Bush era? Turns out we both might have a point. Actually, we don't have too much definitive information on drug expiration dates. Most of what we do know comes from some rather perfunctory studies drug companies are required to conduct, and a large-scale study by the Food and Drug Administration conducted for the army. The story of drug expiration dates begins when a law was passed in 1979 requiring drug manufacturers to put a stamped expiration date on all drugs. These numbers were based on a stability-testing process required by the FDA. Drug makers must store three batches of the medication at 77 degrees Fahrenheit and 66% relative humidity, and three additional batches at 104 degrees and 75% humidity--these latter to simulate shipping conditions. If the meds survive, they earn themselves an expiration date between 12 and 24 months from the date of manufacture, depending on the degree of decomposition during the testing. Thus that date guarantees the drug will still work during that time period--but it says nothing about whether it will work after that period ends. Slate points out that, after the drug is on the market, drug makers are more than welcome to perform additional testing that will prove longer-term efficacy and potency. They're not obligated to, though, and most see little advantage in extending the date, so mostly meds stick with the original numbers. Some companies do go ahead and conduct the testing, and the longest expiration date currently on the market is 5 years. Again, all it represents is the end of the time for which the drug-maker can ensure full potency and safety of the drug. It doesn't represent the end of the time that the drugs are actually safe and effective. However, that big study by the FDA for the army found that that five years was still a really conservative estimate. In 1981 the U.S. began a concerted effort to improve 'military readiness' by buying and stockpiling large amounts of drugs. However, by 1985, the armed forces had over $1 billion dollars of supplies--many nearing expiration. Their estimate was that, by the 90s, they would have to spend over $100 million yearly to replace and update the medications. It seemed an unsatsisfactory solution, so the Air Force Surgeon General's office turned to the FDA to find out if the shelf lives of the drugs could be extended. The FDA got to work and, in analyzing 100 over-the-counter and prescription drugs, 90% were fine to use as many years after their expiration dates, one as much as 15 years after. In fact, the medications were surprisingly durable. A March 29, 2000, edition of The Wall Street Journal wrote about meds stored for two years in a warehouse in Oman, with an average daytime temperature of 135 degrees Fahrenheit--precisely the conditions in which one is not to store medications. Turns out--they were just fine. So the FDA went about extending expiration dates with a liberal hand. One is Bayer's antibiotic Cipro (ciprofloxacin hydrochloride tablets). One testing batch had an expiration date of 1989. Over 9 years later the FDA was still satisfied that the tablets were safe and efficacious, and extended their dates for 18-24 months. Major tranquilizer Thorazine (chlorpromazine tablets) were dated to expire in December 1996. Not even tested until July of 1998, they earned an expiration date another two years down the road. Other drugs the FDA extended at least two years past their original dates: tranquilizer Valium (diazepam), Tagemet (cimetidine), used to treat ulcers, gastric reflux disease and heartburn, anti-seizure medicine Dilantin (phenytoin), tetracycline and penicillin. The savings due to the testing were quickly coming in, and worth the investment. In fiscal 1997, the Department of Defense spent $172,000 on testing and avoided spending $23 million to replace drugs found to be just fine after their expiration dates. By 1998 the DoD spent more on testing--$260,000 and saved more, to the tune of $40 million. So while it's good to know you won't grow a second head from taking your Lipitor that expired while you were still married to your first wife--it also pays to know that it might not do all you'd hope it would. William McCloskey, interim chair of the Department of Pharmacy Practice at the Massachusetts College of Pharmacy and Health Sciences, believes this is a reason for taking a much more cautious approach to expired drugs than those do who use pharmaceutical products dating back to previous presidential eras. McCloskey wisely points out that, though manufacturers study many aspects of their drug, one thing they don't study is what happens to drugs over long periods of time; how long a drug's effectiveness will really last is an unknown. He recommends a conservative approach--a few weeks to a month past the date, give it a go. If you're talking years, you're probably best off giving your drugs the old heave-ho. Boston.com makes the fine point that, if you're debating whether or not to use a drug that might not have full potency, you really should assess how vital the medication is to your well-being. "For a headache remedy or cold medicine it may be worth that risk," they write, "but for a medication that’s critical for your health, 'you want to make sure it’s potent,’ McCloskey says." The FDA, the originators of the expiration stamp idea, takes an even harder line than McCloskeym despite their experience with the Army's medications. “Once the expiration date has passed there is no guarantee that an expired medicine will be safe and effective. If your medicine has expired, do not use it." So now you've got my mother and the FDA--how much more authority does one really need (although I can't get the FDA's armed forces study out of mind when I read their firm stance on expiration dates)? An expired-drug’s loss of potency might indicate to your doctor that your current medicine dosages just aren't managing your conditions. This will likely prompt him or her to increase the dosage, with potentially harmful results long-term, especially when you get your hands on a fresh batch, and are now taking more than your body requires. Then there's just the 'bad practice' issue. Particularly with antibiotics, starting yourself on an old expired prescription can cause your bacteria to become drug-resistant, as you'll only be taking the partial remaining prescription. Older medications you don't currently consider yourself 'on' can come back to bite you if your physician doesn't know about them; they can easily interact with new drugs you're taking. One more worry: if you take an expired medicine, you may be "duplicating the effect of another medicine you are currently taking," or you might even be swallowing a pill contraindicated with something else you're taking. Sensing, for example, that your Paxil isn't doing your mood the world of wonders you had been led to believe it might, you could conceivably drag out that old, expired prescription of MAOI antidepressant Parnate (tranylcypromine), to supplement your SSRI and further lift your mood. Well, you'd lift yourself out of your depression and right into a serotonin syndrome that way--a pretty big mess. So--what do pharmaceutical companies make of all this hubbub about their expiration dates? Well, they never disputed the FDA's testing which discovered drugs lasted much longer than expiration dates indicate. And they're pretty honest that telling consumers to get rid of medications by those dates helps their bottom line. But they also suggest that a shorter shelf life may improve public safety as well. First, it's less liability concerning any safety risk if they cut down on the time in which a patient might misuse a drug, or store it incorrectly (heat, moisture, and sunlight shorten the shelf life). Additionally, better, newer drugs can be introduced with less confusion if the older meds are thrown away. Mark van Arandonk, senior director for pharmaceutical development at Pharmacia & Upjohn Inc, claims that a two-to-three year expiration period is ideal in terms of "commercial convenience." "It gives us enough time to put the inventory in warehouses, ship it and ensure it will stay on shelves long enough to get used." In short, it seems there's no absolute answer to the question of “is this pill still any good?” You have a choice whether to take it or chuck it, and you have supporting arguments on both sides. Truthfully, throwing out your meds on the expiration date probably means some additional expense you might have avoided. But erring on the side of caution never hurts--and, probably for you, as for me, following your mother's advice rarely does either. How long can ciprodex otic ear drops keep after expire date in years? Summary: If you are "cheap" or destitute---take it. If you are a gambler, risk taker, drive a car, fly in airplanes, bungee jump, j-walk, or go outside--throw it away. How long is the kool 24 tablets are good to use after expired. ?